Is the quality of your life being affected by feelings of anxiety or panic attacks? Are you dwelling upon situations in your life in a way that is not helpful? As a therapist I frequently encounter people who are experiencing feelings of anxiety that are seriously restricting their lives. 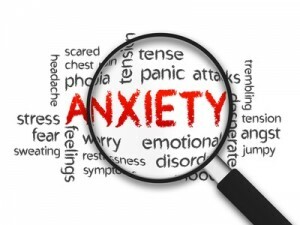 Although not harmful in itself, anxiety can cause unpleasant sensations and can sometimes be extremely debilitating. Anxiety is a natural human response when you feel under pressure and you are struggling to cope with challenging situations. Recognising some of the early warning signs of stress and anxiety can be a real support in helping you to manage the feelings and cope better. The most common symptoms of anxiety include excessive sweating, palpitations, tension headaches and feelings of nausea or dizziness. When pressure builds up and the anxiety becomes extreme, it can turn into a full-blown panic attack, which can feel very frightening.